The coolest thing happened when I was visiting a school in Dallas earlier this year. I was in between presentations, having a conversation with the librarian in the school library, when the doors burst open and a group of kids ran in. They made a beeline for a table where they huddled around a small wooden box, speaking animatedly to one another as they sorted through its contents. Hearing those words shouted with such passion and joy brought me back to my happiest memories as a young reader—being so into a story that I wished the characters were real, or that I could experience the things they did. The Egypt Game by Zilpha Keatley Snyder had me checking out books on Egypt from my library and enacting my own version of the game with my best friend in her backyard. The Babysitters Club inspired my friends and I to start our own babysitting club in which we tried to run our meetings exactly as the characters did, down to Claudia’s secret stash of junk food. After being introduced to Anastasia Krupnik in the eponymous series by Lois Lowry, I began keeping lists and writing in notebooks just like her. The books that left the deepest imprint on my heart and memory were the ones that transformed from a solitary act of reading into an interactive real-life experience. In fact, it was thinking about this—how reading becomes more resonant when we share and have fun with books—that inspired the book hunting game that my series revolves around. When Book Scavenger was about to be published, I thought about myself as a young reader. If I had read my own book back then, the first thing I would have done would have been check and see if the website and game was real. While I don’t have the resources of my fictional game creator Garrison Griswold, I wanted there to be something to find for other likeminded young readers. So, in 2015, I launched a version of the book hunting game at BookScavenger.com. 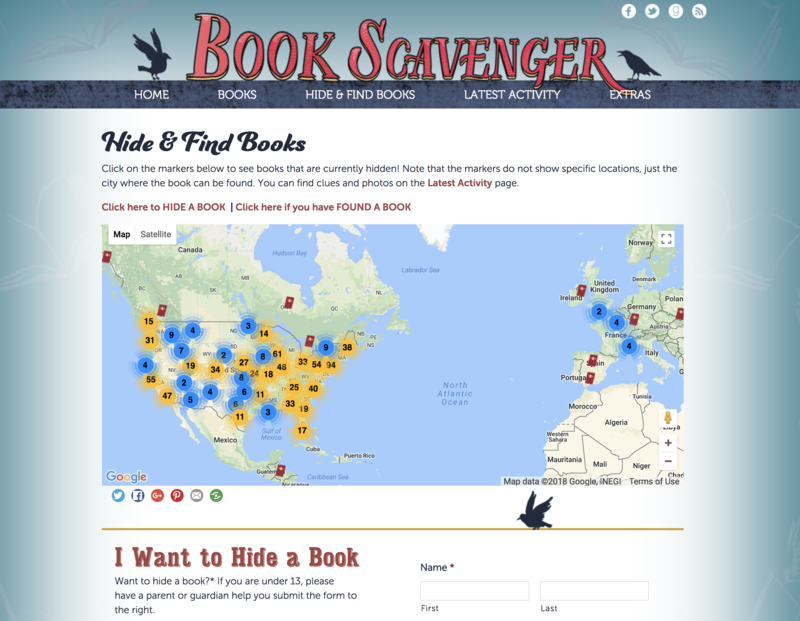 I began by asking one reader in each state to hide a copy of Book Scavenger that I mailed to them, not knowing what would happen beyond that and if anyone else would want to play the game. People did start playing and in 2016, I added tracking numbers to the site and since then, nearly 5000 children’s books—of all sorts, selected by the people hiding them—have been registered and hidden all around the world. In the last two days there have been books hidden and found in Maryland, Pennsylvania, South Carolina, Utah, California, Washington, Nebraska, Canada, and Taiwan! Bookstores and libraries and schools have used the website to run community wide book-hunting events. Others have done offline versions, tailored to work for the needs of their school or organization. And so many book advocates have come up with their own innovative twists to extend the reading experience. 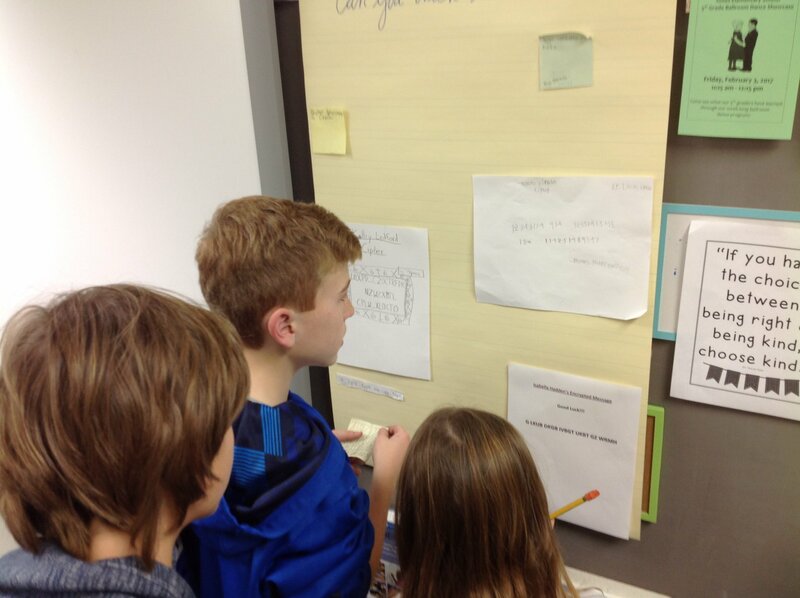 One class read Book Scavenger and did a project on inventing their own games, which involved discussing what makes a game satisfying, brainstorming and research, making prototypes, testing and refining their ideas, and presenting their final version. 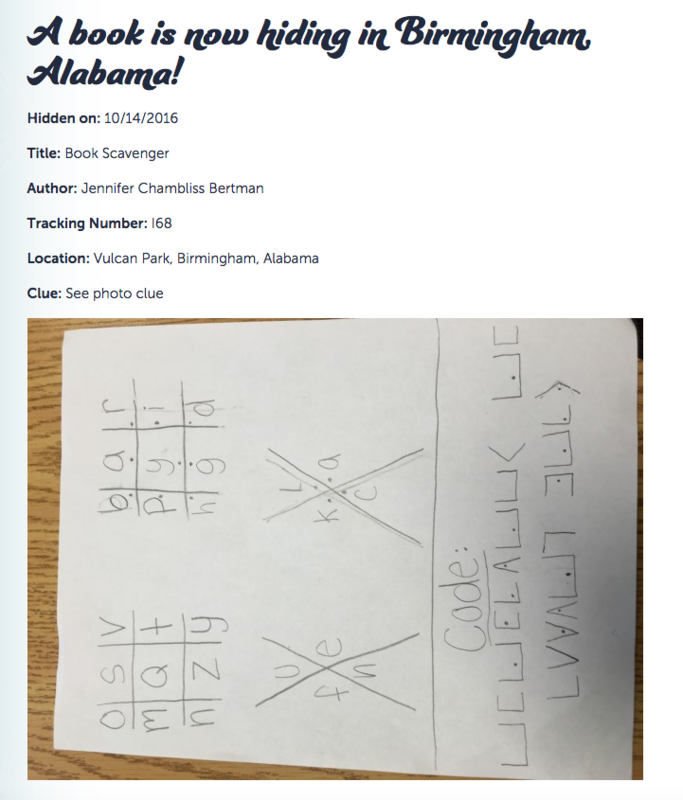 A school that selected Book Scavenger as their All School Read created an interactive mystery about a missing manuscript that carried out over two weeks as students hunted for clues that would lead them to the location of the manuscript. Those who found it were entered in a drawing for a prize. Another school that chose Book Scavenger as their All School Read revealed the selection to students by doing a school-wide Breakout. They gathered boxes of the book in their gym and wrapped them with chains and 23 locks. Every classroom had to work through a clue to find a solution to their lock. 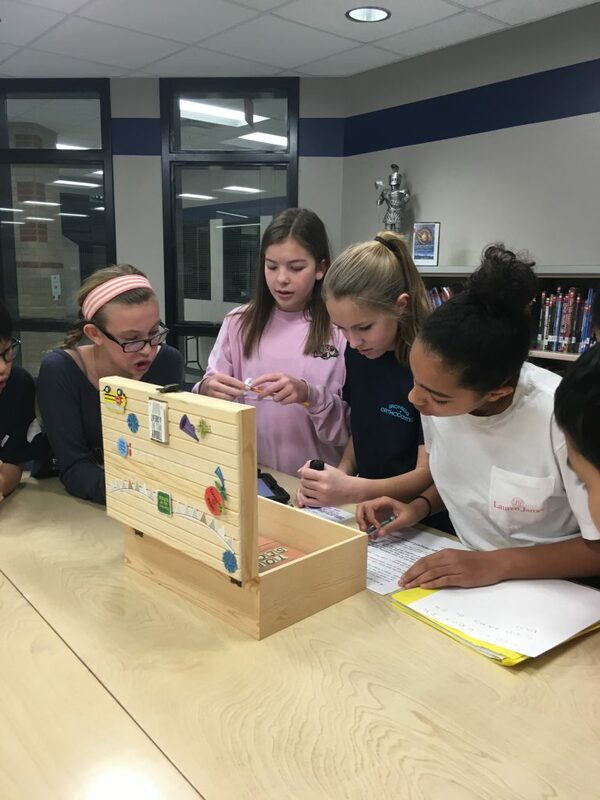 Breakout EDU kits have been a very popular way to create thematic games related to Book Scavenger or other classroom read-alouds, whether it’s the teachers planning the Breakout for their students, or students designing Breakout games themselves. 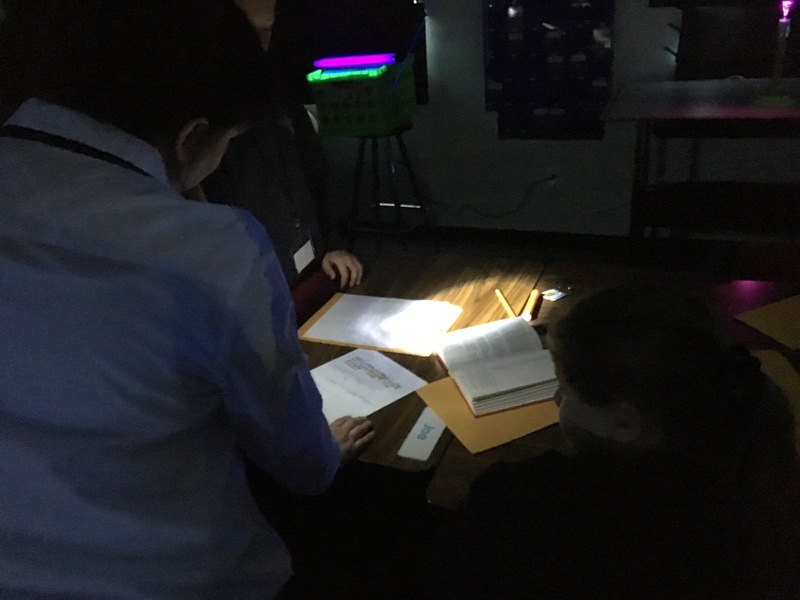 In 2016 I had the good fortune of meeting a teacher who read Book Scavenger with her class and planned a Detective Day, which involved students working in groups (by the light of black lights they’d made themselves!) to solve a series of puzzles that would advance them through the detective levels of the Book Scavenger game. The day was so popular with her students, the incoming class for the following year couldn’t wait to get their chance to experience their own Detective Day. 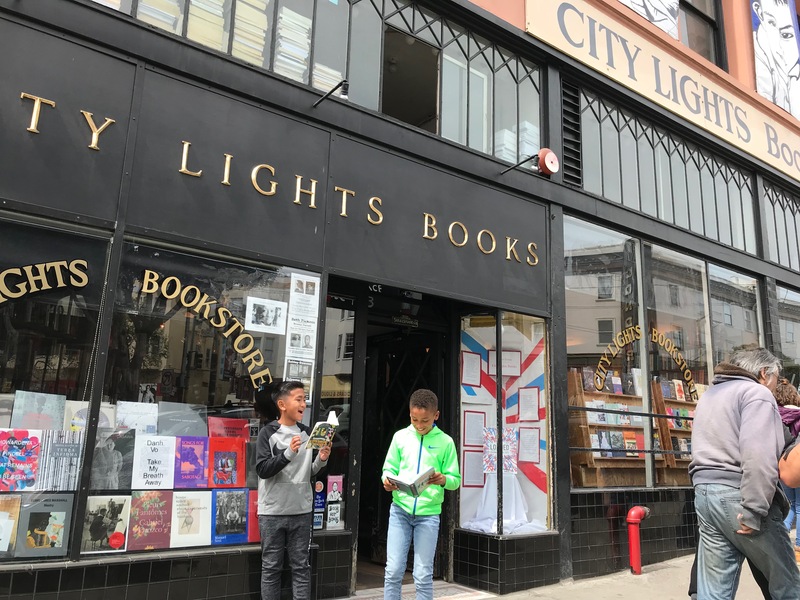 This spring, that same teacher decided to mix it up and planned a scavenger hunt around San Francisco to locations featured in the Book Scavenger series. 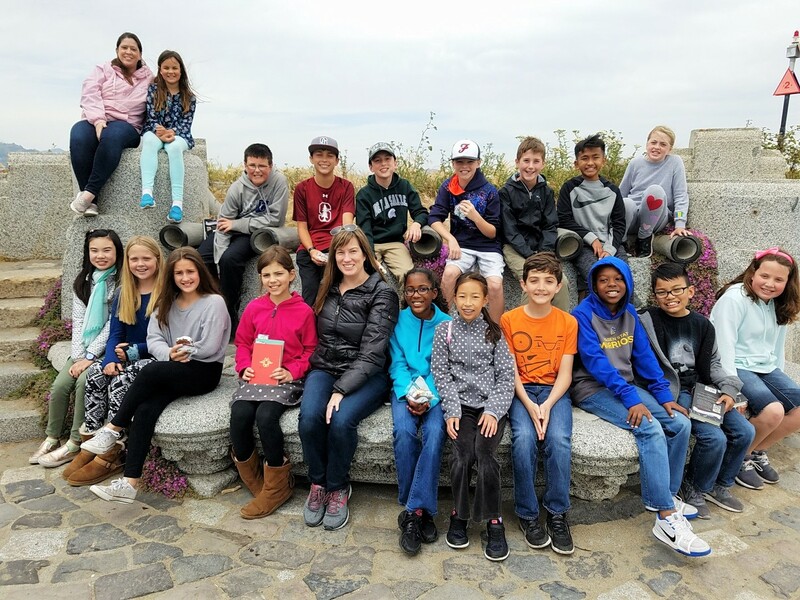 The final clue brought the students to my personal favorite spot in San Francisco—the Wave Organ (which makes an appearance in The Unbreakable Code)—where I was waiting to meet them and celebrate with It’s-Its (which also make an appearance in The Unbreakable Code). It has been gratifying and inspiring to see my books used as a launch pad for creating reader experiences, especially when they merge learning with fun, because those were the activities that helped me grow into a lifelong reader and planted the seeds for the books I’m now writing. Jennifer Chambliss Bertman is the author of the New York Times bestselling Book Scavenger series (Christy Ottaviano Books/Henry Holt). 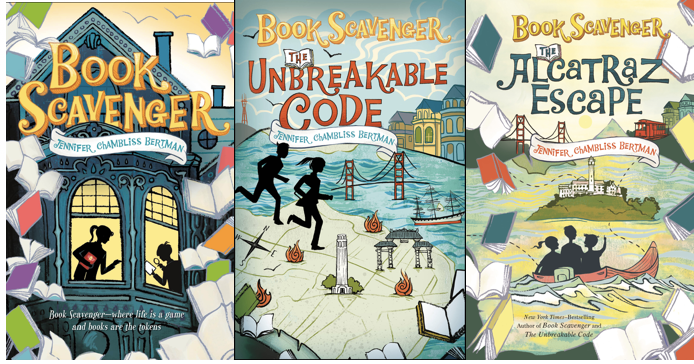 Book Scavenger has been named to over twenty state reading lists, was an NCTE Notable Book, an Indie Next Pick, and a Bank Street College Best Book of the Year. The third book in the series, The Alcatraz Escape, was recently published. 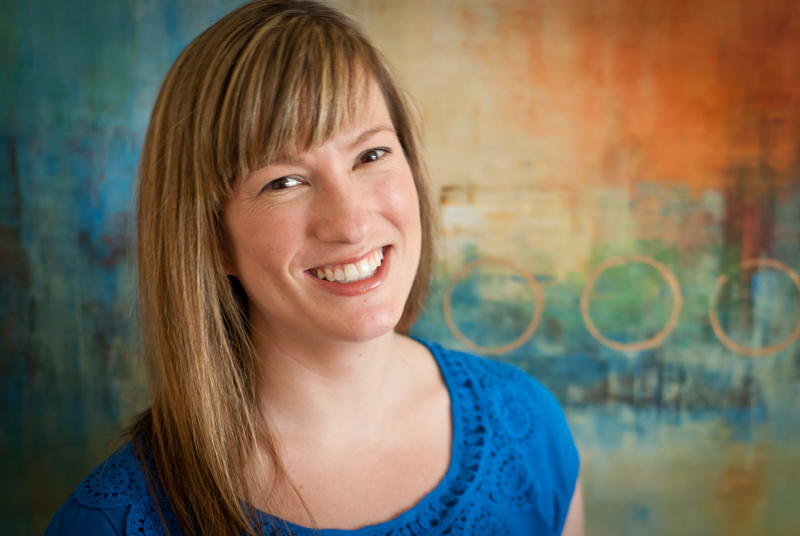 Originally from the San Francisco Bay Area, Jennifer now lives in Colorado with her family and is always up for a game of any sort, but especially a game of Clue. Or Mario Kart. Or Yahtzee. Or . . .
W0w! What a great premise for a book…and great follow up too. This makes my heart so happy. Love that kids can engage like this with Book Scavenger – you have permanently enriched their lives with your stories!